Stripy Baby Vest | Beckie and Jeremy Take on the World! 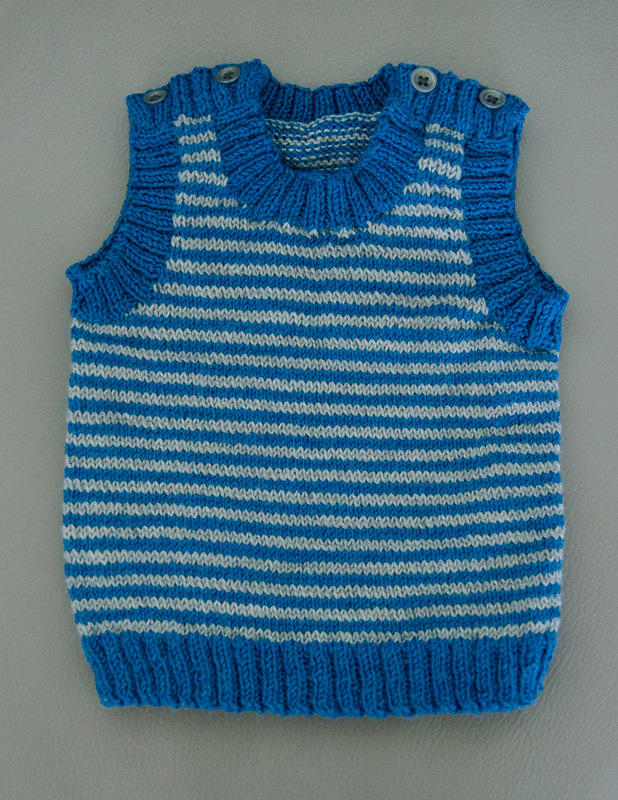 I haven’t done anything very crafty for a while, but I did just finish this vest for a friend’s baby (who is yet to be born! Usually, I don’t finish baby presents until the intended recipient is at least 6 months old. Let’s not go into whether this is the same baby I originally started the project for…). Completing this project also means that my ravelry projects page is a nice grid of pictures, with no unfinished items taunting me with their empty boxes!